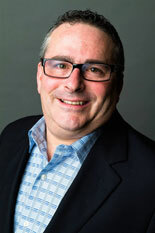 Evan Hackel, creator of the concept of Ingaging Leadership and author of Ingaging Leadership, is a successful businessman who has started more than 10 companies. During his tenure at CCA Global Partners, he ran a $5 billion division. One of his signature achievements was turning around a bankrupt business in four years, more than doubling system-wide sales to exceed $2 billion. He is also CEO of Tortal Training, a Charlotte North Carolina- based firm that specializes in developing and implementing interactive training solutions for companies in all sectors. In this podcast, Evan talks about going above and beyond the typical engagement to ingagement—involving input and involvement. He discusses the importance in differentiating between fact and opinion, tell us why listening for what’s right beats just listening every time, and blows away the myths as to why most managers don’t work at being ingaging leaders. This entry was posted on April 19, 2017 at 12:54 pm and is filed under Marketing Thought Leadership Podcast, Podcasts. You can follow any responses to this entry through the RSS 2.0 feed. You can leave a response, or trackback from your own site.